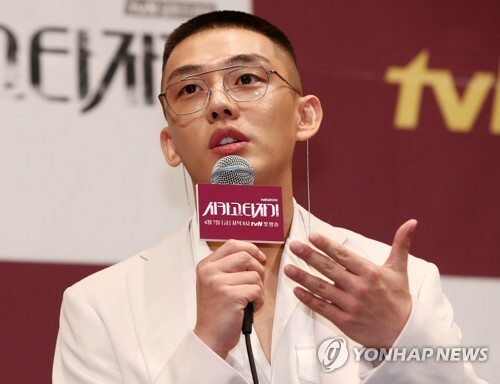 SEOUL, June 27 (Yonhap) — Actor Yoo Ah-in was exempted from military service because of health problems Tuesday, his management agency said. “Yoo was deemed not fit to serve in the military from the Military Manpower Administration (MMA) due to an existing medical condition,” the UAA said. The 30-year-old actor was diagnosed with a bone tumor in 2015 after rupturing his shoulder during the filming of two action movies. He has since undergone five rounds of physical checkups, but the MMA each time put off the decision on whether or not to admit him. But the repeated medical reexaminations prompted public suspicion that he may be trying to find an excuse to be exempted from military duty. He denied the suspicion during a press conference for a new TV series in April, saying he wants to go to the Army if possible. “The military isn’t something I can choose or not. I’m not even a person of power, so how would I even pull off that kind of corruption,” he said, asking the public to wait patiently along with him. “We will actively support the actor’s health issues with the highest priority while carefully observing the treatment process and managing his health at the same time,” the agency said in a release.